I grew up gaining a true appreciation for being active and being outside. My family took us around the United States to national parks where we hiked and camped. Whether I was visiting the Grand Canyon or laying down in my backyard, I’ve always been humbled by nature and found a great magic there. Through my experiences and studies, I’ve learned the complexity and fragility of our ecosystems that have evolved over millions of years. Today, I appreciate efforts to respect, honor, and protect landscapes. I feel fortunate to be in a field that is working to protect those places, promote carbon footprint reduction, and reconnect people of all ages to the outdoors. As a planner, I enjoy learning about new communities and meeting new people. Each project offers an opportunity to communicate the importance of our work. Our project work seeks to improve built environments that give people greater access to the outdoors. My goal is to help communities create connected walkable and bikable places that are accessible right outside each person’s front door. Matt Hayes is a Vice President and the East Coast Director. 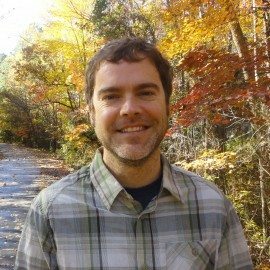 He brings 16 years of experience leading multimodal transportation and greenway planning efforts across North Carolina and the Southeast. As a recognized leader in the bicycle and pedestrian planning field, he has laid the groundwork for communities, both large and small, to accommodate sustainable modes of transportation. His expertise and passion lie in his ability to take clients from a vision to an implementable plan or project. He has managed over 60 bicycle, pedestrian, and greenway planning projects at the state, regional, community, and corridor levels. This includes the 2013 WalkBikeNC Plan (the North Carolina Statewide Pedestrian and Bicycle Plan). In addition, he has contributed to more than 100 planning and design projects, including open space studies. He is accomplished in meeting facilitation, stakeholder engagement, bicycle and pedestrian network analysis, plan development, and GIS/GPS applications. He values an interdisciplinary approach to projects and has collaborated in planning and design efforts at the corridor, small area, citywide, and regional scales. He places the highest value on client satisfaction for each of his projects. Matt Hayes presents on the importance of bicycle/pedestrian connectivity as part of community planning. He has a Bachelors of Biology (with specialization in Environmental Science and GIS) from Samford University and a Masters of Geography from the University of North Carolina-Chapel Hill.